The pharmaceutical company which supplies the drugs said it expects to resume production early next week. THERE ARE CONCERNS for cancer patients after it was confirmed that hospitals have been left short of chemotherapy drugs. Dosages of chemotherapy are individually prescribed for each patient but up to 12 hospitals have been left short as Baxter Healthcare has failed to deliver a full supply for Ireland over the past two weeks. The pharmaceutical company is the only firm supplying the compound drugs to public and private hospitals in Ireland. Cancer patients should not be paying the price because of a lack of planning for an occurrence like this. People with cancer need to be reassured that no matter what happens externally, their treatment will not be affected. The ICS wants to see contingency plans put in place by all cancer-treatment suppliers so that if their supply is interrupted, patients will not be affected. In a statement to TheJournal.ie the pharmaceutical company said, “Baxter is currently experiencing a temporary supply constraint of compounded chemotherapy products supplied to a number of public and private hospitals in Ireland. We are doing all we can to restore production capacity as quickly as possible and minimise the impact to patients. We are working with other Baxter compounding units in the UK to identify if any extra capacity can be utilised, advising hospitals to identify alternative supply arrangements and working diligently to revalidate equipment, which is necessary to resume production. 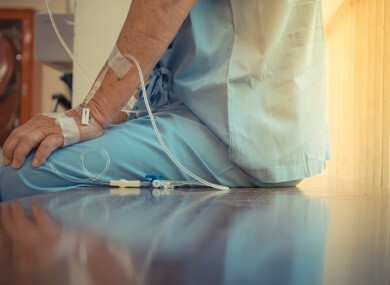 The HSE said the vast majority of patients undergoing chemotherapy will not experience any interruption or changes to their treatment plan as a result of this issue. In a statement it said contingency planning is underway to minimise the impact caused by the reduction in supply. “Medical teams in each of the hospitals are determining the clinical needs of those patients involved and decisions regarding re-scheduling are being prioritised. Hospitals are in direct contact with those patients affected to re-schedule appointments as appropriate. For a very small number of patients, whose clinical needs require immediate access to the drugs as planned, treatment options are being offered in alternative hospitals to ensure that they are seen in a timely manner. However it added that it’s pleased the HSE has responded swiftly to this and plans to manage patients’ care have been put in place. The HSE said that hospitals will make direct contact with patients affected and patients are advised to attend for treatment as arranged unless they are informed otherwise. Email “Concerns for cancer patients as hospitals left short of chemotherapy drugs”. Feedback on “Concerns for cancer patients as hospitals left short of chemotherapy drugs”.